Welcome to Our Community Blog to enjoy old memories including beautiful scenes, some spiritual articles and some highlights of our mother land India. In India, Bhati/Bhatti reside mainly in the states of Rajasthan and Punjab (India) (where they have traditionally come to be known as Bhatti in Punjabi). n Gujarat, Bhatis have several jagirs in the Sabarkantha district, including Ranasan, Munai, Torda, Bhutiya, Vajepur and Chandarni of Idar and Himmatnagar Taluka being the biggest Bhati community village in Gujarat. Bhati Rajputs in Gujarat are descendants of 12th-century immigrants from Osiya in Rajasthan. In Punjab, several villages have only BHATTI. The Patiala and East Punjab States Union has a large concentration of Bhatti. Bhati Rajputs are in the villages Sahlon, Ghurial(jalandhar), Phuglana, Salah, Daroli, Machhli Kalan, Lalru, Jhawansa, Tardak, Joli,Samgoli Nagla, Jhhanjeri, Cholta, Badali, Rangian, Magra,Gunnoo Bhattian, and Khellan-mallan,killianwali(mukatsar,punjab),Shergarh(dabwali,sirsa,haryana). 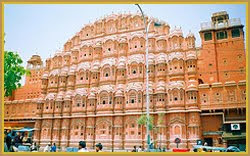 They migrated from Jaisalmer in the 12th century. In Rajasthan, they are found in the Jaisalmer, Bikaner, Jodhpur, Barmer, and some tehsils of Gurdaspur, Shergarh Udaipur (Mohi) and Nagaur (Ladnun). There are about three hundred sixty five villages of Bhati Gujjars in the district of NOIDA Bulandshahar, Ghaziabad and Meerut. In Uttar Pradesh there are several villages where Bhattis reside. These are Kakrala in Budaun district, Yahiyapur in Pratapgarh district, Bhargain in Etah district, and Thiriya Nizamat Khan in Bareilly district. In Awadh, the Bhatti of Awadh form a distinct Muslim Rajput community. In Andhra Pradesh and Tamilnadu people of caste "Bhatraju" are considered to have come from Kshatriya blood line of Pandavas. Chandravansh Kshatriyas Vikramaditya and Bhatti denote some of the known ancestral origins of this community and that's where part of the name Bhat comes from. The Bhatti residing in the village of Killianwali, tehsil Malout, Muktsar district,and Shergarh,(tehsil dabwali,district sirsa,haryana) have adopted the Sikh religion. In the Punjab (Pakistan) province, Bhatti Rajputs are found in Nankana Sahib, Jhang, Gujranwala, Mandi Bahauddin, Lahore, Faisalabad, Gujrat, Jhelum, Gujarkhan, Chakwal, Sialkot, Sahiwal, Okara, Sargodha, Fateh Jang (Hattar), Talagang, Hafizabad, Narowal, Bahawalpur, Dera Ghazi Khan, Rahim Yar Khan, Multan, Lodhran, Khanpur, Liaquatpur, Rawalpindi and Bahawalnagar,Vehari,Pakpattan , Kotmurad district Sheikhupura, Sheikhupura cities of the Punjab. Bhati/Bhatti Rajputs are predominantly Hindus in India, while in Pakistan they are mostly Muslims. When Bhatti Rajputs migrated to Punjab region centuries ago, the local Punjabi people started calling them "Bhatti Rajputs" in the local Punjabi language, as Bhati is pronounced as Bhatti in Punjabi. The majority of the Hindu population of Bhatti Rajputs can be found in the state of Rajasthan, Punjab and Uttar Pradesh; the rest of them are scattered across the rest of India. The Sikh population of Bhatti Rajputs is in the Doaba and malwa region of Punjab in India. The Muslim population of the Sindhi Bhattis is found predominantly in the Sindh province. In Sindh the major clans of Bhattis are the Dadani, Mahar, Mangrio, Bhutto, Kamario, Rajpar, Bhamban and Indhar. All Bhattis are related to Samma clans as they are Yadubansi too. For example, Abro's sub-clans (Mungrani, Kehar, Odho, Sarki, Bhootani, Pechoho, Unar, Khuhro, Bhayo, Junejo, and Phulpoto) are related to Bhattis. There are about forty sub-branches of the Bhattis/Bhati. Many Rajput, Jats and Gujjar tribes in Punjab trace their origin to the Bhatti. Some of these tribes include Mair Rajputs of Punjab, Rajput Jenjer/Janjar, Rajput Mers of Kathiawar, Rajputs of the Bajju clan as well as the famed Jats of the Sidhu dynasty (currently ruling Patiala). Other Jat clans claiming Bhatti origin include the Khaira, Brar, Ghuman, Sahasi, Sansis and Mane clans. In addition the Manj Rajputs are also Bhatti. 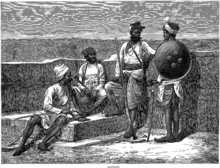 Other Rajput clans claiming Bhatti origin include the Alpial, Indhar (from which the Rais of Bhong are), Kalyar, Kanju, Uttera, Noon, Dhandla, Wattu, Bhabha, Diyal, Mittru, and Hattar. In Pakistani administered Kashmir, the Narma Rajputs also claim a Bhatti origin. 8. BIJAIRAJ II -------- 1. JAISAL, founder of Jaisalmer in 1156. * General F Bhatti - hero of the Battle of Asal Uttar; his battalion stopped the Pakistan offensive for the capture of Amritsar. His son was decorated with the Shaurya Chakra and Sena Medal. * Ch. Maaz Ullah Bhatti - LL.B; a grandson of Umer Baksh Bhatti, a warrior and loyal to the British monarchy and British colonial rule in India. Maaz Bhatti; member of Social Democrats Party of Germany and first grower of rice in Eichstetten, Germany. Of the many branches of the Chandravansh line that has been briefly enumerated, the Yadava lineage is a major branch. This branch is an offshoot of the Bharatvansh which started with the eldest son of Yayati, Yadu. All his descendants are known as Yadavas of Yaduvansh, meaning descendants of Yadu. Another son of Yayati, Puru started the Puruvansh who were the progenitors of the Kuru and Pandava line of Chandravanshi line of Kshatriyas. Based on the writings of Puranas, the Itihaasa Mahabharata and the Raghuvamsa, Lord Krishna was born into the Yadava branch and is considered an ancestor by Yadav Kshatriyas. During the Mahabharat, Chandravansh was only associated with Yadavas and Soorsainis (explain how?). The Bhati, Chandela who built Khajuraho) and Jadaun/Jadeja clans claim that they are Chandravansis. Several Indian castes such as the Sainis of Punjab and contiguous regions, and the Jats of Mathura and Bharatpur, claim descent from the Yaduvanshi lineage.. The Yaduvanshis (aka Shoorsainis), and the Seuna Yadavas of Devagiri claim descent from the Hindu God Krishna. 6. Robin James Moore. Tradition and Politics in South Asia. 1979. Vikas Publishing House. Asia in 1200 AD, showing the Yadava Dynasty and its neighbors. Lord Krishna had eight wives, Rukmini was the senior wife whose son Pradyumna was married to a Vidarbha Princess who bore his two sons - Aniruddha and Vajranabha. Vajranabha had two sons - Shankhanabha and Khira. Vajranabha was in mathura when the Yadu fights happened in Dwarka and all were killed. Hearing this Vajranabha died of grief and Shankanabha was elected king and returned to Mathura. His brother Khira went ahead to Dwarka. ShankaNabha had issue Prithibahu and his brother Khira had issues Jareja (Jadeja) and Yudhhabhan. The other tribes who were often defeated by great Yadus now attacked Dwarka and Nabha had to flee Dwarka and became king of Marusthali. His son Prithibahu inherited the insignia of Lord Krishna and the chatri (Royal Umbrella) made by Vishwakarma. His descendant was Bahubal who married Kamlavati the daughter of King Vijay Singh of Malwa. Bahubal was killed in a horse accident and his son was Subahu. Subahu was married to daughter Chauhan king of Ajmer, Subahu fought many wars with Mallechha's (western warriors). His son was Rajh who was married to Sobhag Sundari, daughter of Malwa prince Veer Singh. Rajh's son was Gaj, who married the daughter of Yudhbhan, the prince of Purabdes. Gaj faced an army of Farid Shah Mamrez of Khorassan with an army of 4 Lakh, the armies met at Kunjshahr. The invaders were defeated and lost 30,000 men, the Rajputs lost 4000. Khorassan king attacked again and was defeated in second battle but Raja Rajh was slain. Khorasan king again conspired with Romipati, king of Rum, and seeing the odds against his army, Raja Gaj decided to go north and established Gajini (in modern day Afghanistan). When the two armies were about to meet, the king of Khorasan died of dysentry, when the news of Khorasan king Mamrez's death was told to Romi Pati, king of Rum, although disappointed, still decided to go ahead with War. This was year 3008 Dharmraj Yudhisther Samvat and on 3rd of Baishakh month of rohini nakshatra, The Hindus defeated the Malechha Armies of Khorasan and Rum. Guj, seated on Gajni maintained the Jadon race. He then conquered all countries to west and sent ambassador to Kashmir, Gaj invaded Kashmir and whose princess he married and had a son called Salivahan. When Salivahan was 12, another wave came from west from Khorasan, Raja Guj sent Salivahan with some trusted members to Jvala Mukhi in Kangra (Himachal Pradesh). Raja Guj lost Gajni and was slain along with other clansmen. all of whom by the strength of their own arms established themselves in independence. The coconut (marriage proposal) from Raja Jaipal Tuar was sent from Delhi and accepted, Prince Baland proceeded to Delhi whose prince advanced to meet him. On his return with his bride Salbahan was determined to redeem Gajni from the foe and avenge his father's death He crossed the Attock to encounter Jalal who advanced at the head of twenty thousand men. Crowned with victory he regained possession of Gajni where he left Baland and returned to his capital in the Panjab he soon after died having ruled thirty three years and nine months. Bhatt Bhupati Kalar Janj Sarmor Bhainsrekha Mangreo. The second son of Baland was Bhupati (i.e., lord of the earth)and he had a son Chakito from whom is descended the Chakito Chagatai tribe. Baland who resided at Salbahanpur left Gajni to the charge of his grandson Chakito and as the power of the barbarian Mlechchha increased he not only entertained troops of that race but all his nobles were of the same body. They offered him a deal that if he would quit the religion of his fathers (Hinduism) to make him master of Balkh Bokhara where dwelt the Usbek race whose king had no offspring but one daughter. Chakito married her and became king of Balkh Bokhara and lord of twenty eight thousand horse Between Balkh and Bokhara runs a mighty river and Chakito was king of all from the gate of Balakhshan to the face of Hindustan and from him is descended the tribe of Chakito Mongols. Kalar - third son of Baland had eight sons whose descendants are designated Kalar. Their names were Sheodas Ramdas Aso Krishna Sama Ganga Jassa Bhaga almost all of whom became Musalmans. They are a numerous race inhabiting the mountainous countries west of the river 4 and notorious robbers. Janj - the fourth son had seven sons Champa Gokul Mehraj Hansa Bhadon Rasa Jaga all whose issue bore the name of Janj and in like manner did the other sons become the patriarchs of tribes. Bhatti succeeded his father Baland. He conquered fourteen princes and added their fortunes to his own. Among his effects he reckoned twenty four thousand mules laden with treasure, sixty thousand horse and innumerable foot. As soon as he mounted the gaddi he assembled all his forces at Lahore preparatory to the tika daur, destined against Birbhan Baghel lord of Kanakpur, Birbhan fell in the battle which ensued at the head of forty thousand men. Bhatti had two sons Mangal Rao and Masur Rao. With Bhatti the patronymic was changed and the tribe thenceforth was distinguished by his name - the Bhatis. Mangal Rao succeeded but his fortune was not equal to that of his fathers, Dhundi king of Ghazni, with a mighty force invaded Lahore, nor did Mangal Rao opposed him but with his eldest son fled into the wilds on the banks of the river. The foe then invested Salbahanpur where resided the family of the Raja but Masur Rao escaped and fled to the Lakhi Jungle. There being only a cultivating peasantry in this tract he overcame them and became master of the country. Masur Rao had two sons Abhai Rao and Saran Rao. The elder Abhai Rao brought the whole Lakhi Jungle under his control and his issue which multiplied became famous as the Aboharia Bhattis. Saran quarrelled with and separated from his brother and his issue descended to the rank of cultivators and are well known as the Saran Jats. Majam Rao Kalarsi Mulraj Sheoraj Phul Kewala. When Mangal Rao fled from the king his children were secreted in the houses of his subjects [Ref: Todd - page 1186]. Mangal Rao who found shelter in the wilds of the Gara, crossed that stream and subjugated a new territory At this period the tribe of Baraha, inhabited the banks of the river beyond them were the Buta Rajputs of Butaban. In Pugal dwelt the Pramara, in Dhat the Sodha race and the Lodra Rajputs in Lodorva. Here Mangal Rao found security and with the sanction of the Sodha prince he fixed his future abode in the centre of the lands of the Lodras the Barahas and the Sodhas. All of them had offspring who became the heads of clans retaining the patronymic. All were soldiers of fortune and they conquered the lands of the Chana Rajputs, but the latter revenged themselves upon Kehar whom they attacked and slew as he was hunting. Rao Tano succeeded, he laid waste the lands of the Barahas and those of the Langha of Multan. But Husain Shah advanced with the Langaha Pathans clothed in armour with iron helms with the men of Dhudhi, of Khichi, the Khokhar, the Mughal, the Johiya the, Jud and Sayyid, all mounted on horses to the number of ten thousand men to attack the Jadon Rao Tano. They reached the territory of the Barahas who joined them and there they encamped, Rao Tano collected his brethren around him and prepared for defence. During four days they defended the castle and on the fifth the Rao ordered the gates to be thrown open and with his son Bijairae sallied out sword in hand and attacked the besiegers. The Barahas were the first to fly and they were soon followed by the rest of the Asurs. The victors carried the spoils of the field into Tanot. As soon as the armies of Multan and Langaha were driven off the coconut came from Jiju chief of the Butas of Butaban and an alliance offensive and defensive was formed against the prince of Multan. Tano had five sons Bijairae Makar Jaitang Alan and Rakecha. The second son Makar had issue Maipa who had two sons Mohola and Dakao the latter of whom excavated the lake known by his name. The third son Jaitang had two sons Ratansi and Chohar The first repaired the ruined city of Bikampur, Hohar had two sons Kola and Girraj who founded the towns of Kolasar and Girrajsar. Tano having by the interposition of the goddess Bijaiseni discovered a hidden treasure and erected a fortress which he named Bijnot and in this he placed a statue of the goddess on the 13th the enlightened part of the month Margsir the Rohini Nakshatra S 813 (AD 757). He died after ruling eighty years. Bijairae succeeded in S 870 AD 814. He commenced his reign with the tika daur against his old enemies the Barahas whom he defeated and plundered. In VS 892 he had a son by the Buta queen who was called Deoraj. The Barahas and Langahas once more united to attack the Bhatti prince but they were defeated and put to flight. Finding that they could not succeed by open warfare they had recourse to treachery and killed Bijairae when he had gone with his clansmen to marry the Bahara Princess. Tanot was then invested and taken and nearly every soul in it put to the sword so that the very name of Bhatti was for a while extinct. Deoraj was protected by his maternal relatives and was kept hidden for a while, he then built a castle in Derawar. Deoraj determined to wreak his revenge on the Barahas and he enjoyed it even to stripping the scarfs from the heads of their females. On his return to Derawar he prepared for an attack on Langaha the heir of which was then on a marriage expedition at Alipur. There Deoraj attacked and slew a thousands of them and then established himself with no opponents. He was treacherously killed while on hunting. Raja Mund succeeded him and the tika daur was against the assassins of his father who had congregated for defence, eight hundred of whom were put to death. Rawal Mund had one son who was called Bachera, when about fourteen years of age the coconut came from Balabh sen - the Solanki Raja of Patan. He forthwith proceeded to Patan (Gujarat). Rawal Bachera or Wachuji Bachera succeeded on Saturday the 12th Sravan S 1035. The same rites of installation were performed the Kanphara - split eared Jogi was the first to put the regal lilak on his forehead and his hand upon his back. Rawal Bachera had five sons Dusaj Singh Bapi Rao Ankho and Malpasao all of whom had issue forming clans. Rawal Dusaj - In the month of Asarh V.S. 1100, Hamir - the prince of the Sodhas made an incursion into his territories which he plundered Dusaj having unavailingly remonstrated reminding him of ancient ties he marched into Dhat and gained a victory. Dusaj had two sons Jaisal and Bijairaj and in his old age a third son by a Ranawat princess of the house of Mewar called Lanja Bijairae who when Dusaj died was placed on the throne by the nobles and civil officers of the State. Lanja Bijairae's son was Bhojdeo from a Solanki princess from Patan and he ruled from Lodarva. Rao Jaisul conspired against his nephew who was always guarded by Solankis, and joined hands with King of Ghor and slew Bhojdeo who was defending Lodarva. The Foundation of Jaisalmer c AD 1156 - Jaisal thus obtained the gaddi of Lodorva, but it being open to invasion he sought a spot better adapted for defence and he found one only five coss/ ten miles from Lodorva. On Raviwar (Sunday) the day of the sun a favourite day for commencing any grand undertaking with all these tribes the 12th of Sravan month (about July), the enlightened half of the moon S 1212 or AD 1156 the foundation of Jaisalmer was laid and soon the inhabitants with all that was valuable abandoned Lodorva and began to erect new habitations. Jaisal had two sons Kelan and Salbahan. Rawal Jaisal Singh was the Bhatti Rajput who founded "The Golden City" of Jaisalmer in 1156 AD. The new fort that he built was on a hill called Trikuta. Bhatti Rajputs were proficient horse riders,marksman and warriors. Their reign spread to the Punjab,Sindh and beyond, to Afghanistan. The City of Ghazni was named after a brave Bhatti warrior Raja Gaj.. In Lahore, a monument exists to this day, which is called the Bhati Gate, named so probably because it opens in the direction of the "Sandal Bar", an area ruled by Rai Sandal Khan Bhatti Rajput. The majority of the inhabitants of Jaisalmer are Bhatti, who take their name from an ancestor named Bhatti, renowned as a warrior when the tribe were located in the Punjab area. Shortly after this the clan was driven southwards, and found a refuge in the Indian desert, which was henceforth its home. Prince Deoraj, a famous prince of the Bhatti family, is esteemed the real founder of the Jaisalmer dynasty, and with him the title of Rawal commenced. In 1156 A.D. Rawal Jaisal, the sixth in succession from Deoraj, founded the fort and city of Jaisalmer, and made it his capital as he moved from his former capital at Lodhruva (which is situated about 15 km to the south-east of Jaisalmer). In 1293, the Bhattis so enraged the emperor Ala-ud-din Khilji that his army captured and sacked the fort and city of Jaisalmer, so that for sometime it was quite deserted. Some Bhatti's migrated to Talwandi, now Nankana Sahib in Distt. Nankana Sahib and others settled in Larkana (in Sind, Pakistan) under the name of Bhutto. In Nankana Sahib, the Bhatti Clan can be traced from the lineage of Rai Bhoe and Rai Bular Bhatti. After this there is nothing to record until the time of Rawal Sahal Singh, whose reign marks an epoch in Bhatti history in that he finally gave in and acknowledged the supremacy of the Mughal emperor Shah Jahan. The Jaisalmer princes had now arrived at the height of their power, but from this time till the accession of Rawal Mulraj in 1762 the fortunes of the state rapidly declined, and most of its outlying provinces were lost. In 1818 Mulraj entered into political relations with the British. Maharawal Salivahan, born in 1887, succeeded to the chieftainship in 1891. The Maharajas of Jaisalmer trace their lineage back to Krishna through Jaitsimha, a ruler of the Bhatti Rajput clan. The major opponents of the Bhatti Rajputs were the powerful Rathor clans of Jodhpur and Bikaner. They used to fight battles for the possession of forts, waterholes or cattle. Jaisalmer was positioned strategically and was a halting point along a traditional trade route traversed by the camel caravans of Indian and Asian merchants. The route linked India to Central Asia , Egypt, Arabia, Persia, Africa and the West. The Kutchi people (Gujarati: કચ્છી, Urdu: کچھی) traditionally reside in the Kutch region of the northwestern Indian state of Gujarat and Sindh province of Pakistan. Modern day Kachhis have moved out of Kutch to nearby commercial havens such as Ahmedabad, Baroda, and Mumbai, and to neighbouring states such as Rajasthan, Maharashtra, and Punjab. While in Pakistan, Kutchi people have migrated from rural areas and settled in Karachi and Hyderabad. The Kutchi language is one of the Indo-Aryan languages, part of the Indo-European language family. Now most Kutchis are living in India, Pakistan, South Africa, Kenya, Tanzania, Canada, the United States and Europe and also speak closely-related languages such as Gujarati, Sindhi and Memoni, especially those living in cosmopolitan cities such as Mumbai and states like Kerala. There are too many casts in a typical Kutchi community like Nohriya, Gharana, Lohar Wadha,Rahima, Hingora, Halaypotra, Sanghar, Jat, Rathor, Khatri, Bhatti, Hingorja, Khalifa, Hala, Memon, Geerahi, Batala, Gaanchi, Jakohi, Wahgair, Juneja Wara, Mistri, Lohanas, Nandwanas, Nagar Brahmins etc. Some people claim that Kutchi language is driven from Sindhi language and Memoni language is driven from Kutchi language. Sindhi, Memoni and Kutchi language are similar to each other and people of these languages can understand and talk freely with each other. The Kutchi language has a lot of extant, some extant is similar to Sindhi and some is similar to Memoni. Kachhis mainly adhere to the Vaishnav Hinduism, Jainism, and Islam. In Hindu mythology, the Lunar Dynasty (Chandravanshi or Somavanshi) is one of the three principal houses of the Kshatriya Varna, or warrior–ruling caste. The Dynasty claims descent from the Moon (Soma or Chandra), while the other principal houses, the Solar Dynasty (Suryavanshi) claims descent from the Sun (Surya) and the Agnivanshi claim to have been born to the fire God Agni. Vansh essentially translates to family tree, so Chandra-, Surya- or Agnivanshi means the family tree or genealogy of the descendants of the Moon, Sun and Fire gods. Within these family trees sub-branches such as Bharatvansh, Yaduvansh, Puruvansh, Kuruvansh, Pandavansh etc. emerged, named after a prominent progenitor of the line. * Atri produced Chandra (Moon God) from his eyes. In the third part of Treta Yuga, Indra sent Chandra, Rohini's husband, to Prithvi (Earth). His capital was Prayag and was a devout worshiper of Vishnu and Shiva. He performed 100 Yagyas (Oblations) to please Mahamaya (God). He ruled for 18,000 years and then ascended to heaven. * His son was Budh. * Pururava had six sons in the beginning of Treta Yuga. * Hotra's his son was Jahnu. He drank all the water of the River Ganga. This prince, whilst performing a sacrifice, saw the whole of the place overflowed by the waters of the Ganges. Highly offended at this intrusion, his eyes red with anger, he united the spirit of sacrifice with himself, by the power of his devotion, and drank up the river. The gods and sages upon this came to him, and appeased his indignation, and reobtained Gangá from him, in the capacity of his daughter (whence she is called Jáhnaví). * Kushnabh's son was Gadhi (who was an incarnation of Indra himself). o Gadhi had Vishwamitra. Born a Kshatriya, he became a Brahmarshi (Sage). o He had a daughter named Satyavati, who married Rishi Richik. The book "Genealogical Tables" mentions this: "it is impossible that one woman could be the daughter of Gadhi, 15 generations from Brahma, and wife of Richik, who was only 3 descents down from the same god". (8). o Satyavati had son Rishi Jamadagni who married Renuka, the daughter of Rishi Renu. o Jamadagni had several sons such as Vasuman, the youngest one was Parashurama. He emptied Prithvi (earth) from Kshatriyas 21 times. o Vishwamitra had 100 sons, 99 of whom are considered the mythylogical progenitors of the Andhras. * Dirghtamaa's son was Dhanvantari. Dhanvantari started Ayur Veda. He takes his share in Yagya and is the Ansh of Vasudeva. * Divodas' son was Dyuman - his other names are Pratardan, Shatrujit, Vats, Ritdhwaj and Kuvalayaksh. * Dyuman's sons were Alark and others - Alark ruled for 66,000 years. * Bharg's son was Bhargabhumi. * Shunak's son was Shaunakji. This Shaunak is the same person acknowledged in the Rig Veda. * Dharmsarathi's son was Shantiraya - Shantiraya was a knower of the soul so he did not have any child. * Gambheer's his son was Akriya. Akriya's wife started Brahman Vansh. Raji had 500 sons. All were killed by Indra. * Ayu's son was Nahush. He attained Indra's status and ruled the three worlds. Later he became a python because of Durvasa'a curse (In MBH he became python because of Agastya Muni's curse). * Nahusha's son was Yayati. * Yayati had five sons. Three of them were the rulers of Mlechchh Desh (Their detailed description is available in the early chapters of Matsya Purana.) The other two became Arya. Among all the sons, the eldest son was Yadu and the youngest son was Puru. * Puru's son was Janamejaya. * Apratirath's son was Kanva and his son was Medhatithi who produced Prasakanv Brahman. There was a Medhathithi, supposedly born in 850 AD, who wrote a commentary on Manusmrithi (are they the same person?) (9). Kanva's adopted daughter was Shakuntala, who married Dushyant. Their son was Bharat. Shakuntala, the wife of King Dushyanta, in Abhijñānashākuntala of Kalidasa. A painting by Raja Ravi Varma. o Mahavirya's son was Duritkshaya. All three, Trayaruni, Kavi and Pushkararuni became brahmins. 4. Shini's son was Gargya. 5. Brihatkshatra's son was Hasti, who inhabited Hastinapur. * Ajameedh's sons including Priyamedha became Brahmins. Among them one was Brihdishu. * Ajameedh's second wife's name was Nalini. She gave birth to Neel. * Neep had 100 sons plus a son Brahmdat - from Chayashuk's daughter Kritwee. He was a Yogi. * Udakswan's son was Bhalad. 5. Sanjay. Bharmyashwa said, "My all these five sons are worthy to rule five countries (Panch Alam), therefore they were known as Panchal. Among them Mudgal started Maudgalya Brahmin Gotra. * Sanatiman's son was Kriti. Kriti attained the knowledge of Yog from Hiranynabh and authored six Sanhitas of Prachyasam Richa (stanzas). * Ripunjaya's son was Bahurath. Shakrahotra came again on Earth at the order of Indra along with Ghritachi Apsara. He defeated Dhanurdeept and ruled Earth. *Shakrahotra's son was Hasti and ruled from Ghritachi for 10,000 years. Hasti rode the son of Airavat elephant and built a city named Hastinapur in his name. This city was 10 Yojanas long and situated on the bank of Swarganga. *Sushamyarn's son was Kuru. He went to heaven swarga loka with his physical body because of a boon from Indra. After the second leg of Dwapara yuga was over, Sukeshi came to Earth and married Kuru. He built Kurukshetra, which was 20 Yojanas long.It is the most popular and powerful dynasty in the history of world. * Jayasen's son was Arnav (ruled for 12,000 yrs) who spread his kingdom to the four seas. o Shantanu's eldest born was Bhishma but he took an oath to not rule and let his younger brother rule. * Pandu's son was Yudhishthir (ruled for 50 yrs). * Duryodhan (Dhritrashtra's son) ruled for 60 years and was killed by Yudhishthir's brother Bheemsen in Kurukshetra. India during the period of Mahabharata. * Note - Different Puranas tell different ages of Krishna, especially Mahabharat, Bhagvat, Harivansh, Vishnu, Brahma Vaivart and Garg Sanhita also describe His life in detail. Most books tell His age as 125 years. Krishna's avatar was in the end of fourth leg of Dwapar Yuga. * Kshemak abandoned his kingdom and went to Kalapgram. He was killed by Mlechchhs. By the grace of Narad he had a son named Pradyot. Prodyot did Mlechchh Yagya in which many Mlechchhs were killed. At that time, in Satwat Vansh, there was the king named Vrishni who ruled for 5,000 yrs because of a boon from Vishnu. * Navarath's son was Kuruvats (5,000 yrs). By this time, 5,000 × 16 = 80,000 years had passed. * Surbhakt's son was Sumana (5,000 yrs). By this time, 5,000 × 8 = 40,000 years had passed. * Devmedha's son was Surpal—The Second leg of Treta Yug ended here. * Kritavíryya's son was Arjuna [([Kartavirya_Arjuna]]), the sovereign of the seven Dwípas, the lord of a thousand arms. This prince propitiated the sage Dattátreya, the descendant of Atri, who was a portion of Vishńu, and solicited and obtained from him these boons—a thousand arms; never acting unjustly; subjugation of the world by justice, and protecting it equitably; victory over his enemies; and death by the hands of a person renowned in the three regions of the universe. With these means he ruled over the whole earth with might and justice, and offered ten thousand sacrifices. At the expiration of his long reign Kártavírya was killed by Parashurama who was an embodied portion of the mighty Náráyańa (11). * Of the hundred sons of this king Arjuna the five principal were: Śúra, Śúrasena, Vrishańa, Madhu, and Jayadhwaja. The son of the Jayadhwaja was Tálajangha, who had a hundred sons, called after him Tálajanghas: the eldest of these was Vítihotra; another was Bharata, who had two sons, Vrisha and Sujátí. The son of Vrisha was Madhu ; he had a hundred sons, the chief of whom was Vrishni, and from him the family obtained the name of Vrishńi. From the name of their father, Madhu, they were also called Mádhavas; whilst from the denomination of their common ancestor Yadu, the whole were termed Yadavas (20). * Krath's son was Kuntibhoja, who married the daughter of Purudaitya who lived in Patal. * Kuntibhoj's son Vrishparva (10,000), was a great devotee of Devi. He ruled in Pratishthanpur (Jhansi) of Prayag. * Sutapa's son was Sanvaran - he did Tapas for 100 years. Surya married his daughter Tapati to him. Map of India during Mahabharata. * All four seas crossed their limits and presented a scene of Pralaya. For two years, Prithvi (Earth) was under the sea. Then came storms with strong winds and the sea started to regress and Prithvi reappeared by the grace of Maharshi Agastya. Within five years Prithvi grew all vegetations back and all the Varnas by the grace of Surya, Sanvaran and Maharshi Vashishtha came back to earth. Sanvaran came to Pratishthanpur (Jhansi) on Friday, Trayodashi (13th day) of Krishnapaksh of Bhadrapadmas. Vishwakarma built a palace there which was 1/2 a Kos (1 and 1/2 miles) high. Sanvaran inhabited Pratishthanpur in the area of 5 Yojan or 20 Kos. Budhvanshi Prasenjit and Yaduvanshi (Yadav) Satwat Shoorsen became the rulers of Mathura. Mlechchhvanshi Shamshrupal (who has a beard) was the ruler of Marudesh (Arabia, Iran, Iraq). As the number of people grew, the number of kings also increased. Sanvaran ruled for 10,000 years. * Dushyant's son was Bharat from his wife Shakuntala who ruled for 36,000 years. * Bharat was a great devotee of Surya Dev. He was a Chakravarti (noble) king. * Yagyahotra's son was Shakrahotra. Pleased with him, Indra gave him Swarg (heaven). © Copyright 2010, Bhatia Community Mission Foundation's Encyclopedia. (Discovery Vision) - ( The fr. Simple theme. Theme images by loops7. Powered by Blogger.